​Red: A Crayon's Story is a really cute book about being who you are really meant to be. 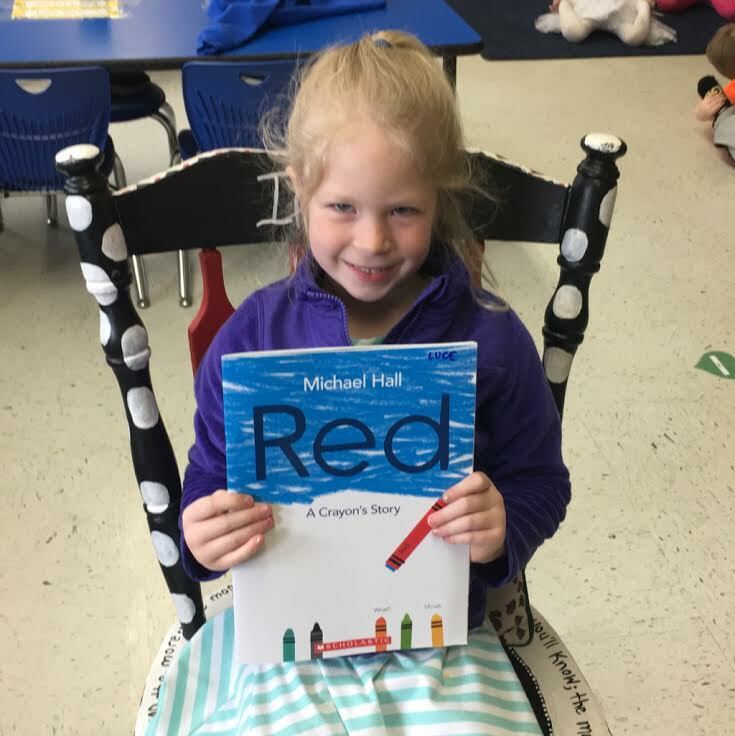 The crayon as we can see on the cover and throughout the book is a blue crayon in a red wrapper. This story is told from the perspective of the pencil. "Red" crayon is pushed to be a red crayon and do red crayon things (draw strawberries, draw fire trucks, etc.) but he can't because inside he is something so much more. He is a blue crayon "deep down". The pressures of others got too much, but eventually someone asked him to draw an ocean for their boat, then he realized his true talent was being a blue crayon. Finding your true God given potential is HUGE! Don't let anyone diminish your talents or dreams!